Shop For Sabatier Cookware at ShopWorldlux: check prices, availability, deals & discounts. Get Sabatier Cookware to meet your needs at Shop Worldlux. 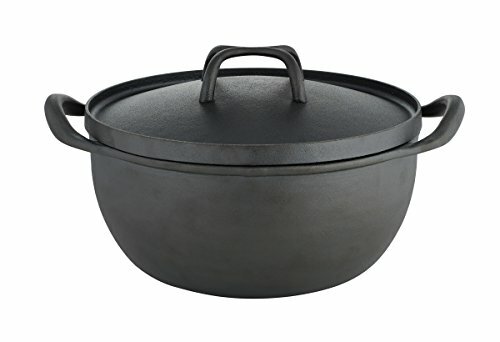 This Sabatier Pre-seasoned Rust-Resistant Cast Iron 5-1/2 Quart Dutch Oven is ideal for slow cooking, and has a lid with inside condensation bumps for self-basting. 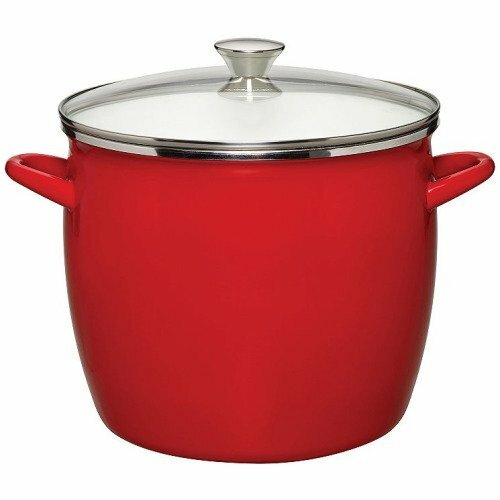 The pot is constructed of cast iron using technology that creates an all-natural surface that is durable, non-porous, rust-resistant, and stick-resistant for easy cleanup. The new surface technology is not a coating, is chemical-free, and is safe to use with metal utensils. Compatible with most heat sources, including gas and ceramic top ranges. It absorbs heat evenly and spreads it gently for excellent heat retention while cooking, is oven safe to 500 degrees F, and can also be used in the oven, under the broiler, or on the grill. Hand-wash with warm water and a mild detergent; rinse and dry immediately. How to Maintain: After each wash, rub the entire press with a light coat of oil. Use enough oil to restore the sheen, without making the pan “sticky." Oiling the press after each wash will help keep the iron “seasoned” and protected from moisture. 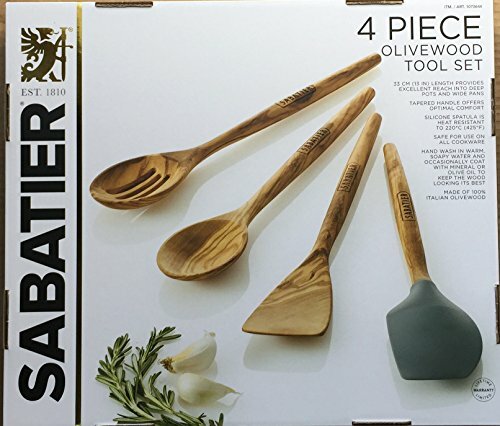 Sabatier 4 Piece Olive Wood Tool Set (Spoon, Slotted Spoon, Turner, Silicone Spatula). Olivewood is durable and has interesting and unique grain patterns. Also, resistant to stains and odors. These beautiful handcrafted tools will last a lifetime when properly cared for. This Sabatier Stainless Steel Turner is perfect for everyday cooking tasks like turning pancakes and flipping burgers. It features a weighted stainless steel handle that fits comfortably in your hand. The nylon head is heat resistant up to 400 degrees F, and is safe on all cookware, including nonstick. Dishwasher safe. This Sabatier Pre-seasoned Rust-Resistant Grill Press is an essential tool for cooking meat on the stove or grill. Ideal for pressing bacon, grilled sandwiches, hamburgers, quesadillas and more. Also, it will help create those impressive grill marks on steaks and chops. The grill press is constructed of cast iron using technology that creates an all-natural surface that is durable, non-porous, stick-resistant, and rust-resistant. The new surface technology is not a coating and is chemical-free. Features a smooth wood handle that will stay cool to the touch. Measures 8 x 5 inches. Dishwasher friendly . How to Maintain: After each wash, rub the entire press with a light coat of oil. Use enough oil to restore the sheen, without making the pan “sticky." Oiling the press after each wash will help keep the iron “seasoned” and protected from moisture. 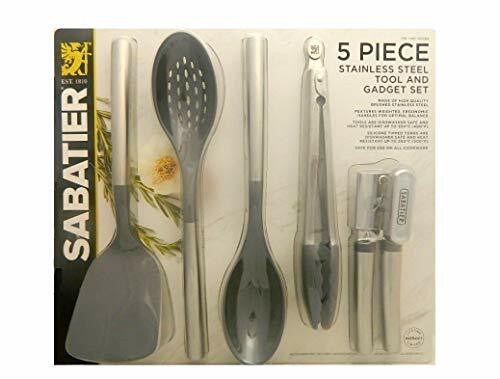 This Sabatier tool and gadget set includes a slotted turner, basting spoon, slotted spoon, 11 inch silicone sipped songs, and can opener. 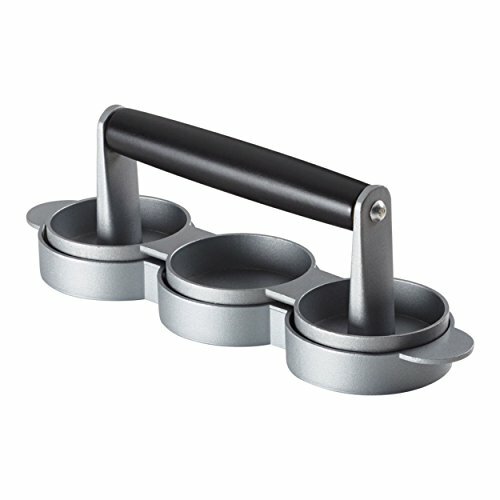 Stainless steel weighted handles fit comfortably in your hand. Durable nylon heads are heat resistant to 204C/400F; silicone tong head is heat resistant to 204C/450F. Safe for use on all cookware. Dishwasher safe; can opener is hand wash recommended. 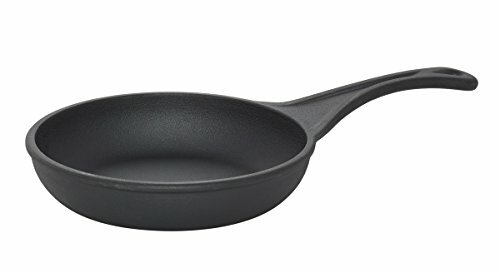 This Sabatier Pre-seasoned Rust-Resistant Cast Iron 12-1/2 Inch Frying Pan offers a flat surface and a grill surface for cooking everything from pancakes to burgers right on your stovetop. Pan is constructed of cast iron using technology that creates an all-natural surface that is durable, non-porous, rust-resistant, and stick-resistant for easy cleanup. The new surface technology is not a coating, is chemical-free, and is safe to use with metal utensils. Compatible with most heat sources, including gas and ceramic top ranges. It absorbs heat evenly and spreads it gently for excellent heat retention while cooking, is oven safe to 500 degrees F, and can also be used in the oven, under the broiler, or on the grill. Measures 8-inches in diameter. Dishwasher friendly . How to Maintain: After each wash, rub the entire pan with a light coat of oil. Use enough oil to restore the sheen, without making the pan “sticky." Oiling the pan after each wash will help keep the iron “seasoned” and protected from moisture. These 7 Inch Stainless Steel Tongs, by Sabatier, are crafted of durable stainless steel and feature a European grade nylon 66 head. The nylon head is heat resistant to 204C/400F and safe to use on all cookware. Locks for convenient storage. Dishwasher safe. 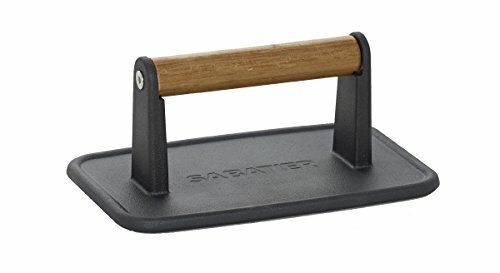 This Sabatier Burger Slider Press will make three 3 ounce size meat, fish or veggie burgers. 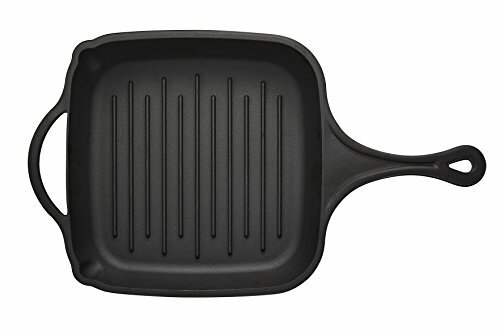 Features a ribbed surface that increases area for cooking and creates a seared effect on burgers. Crafted of durable cast aluminum with a wooden handle. Dishwasher safe, but hand washing recommended. Burger press measures 3-1/2 inch wide x 12-1/2 inch long. This Sabatier Pre-Seasoned Rust-Resistant Cast Iron Double Burner Reversible Griddle offers a flat surface and a grill surface for cooking everything from pancakes to burgers right on your stovetop. Constructed of cast iron using technology that creates an all-natural surface that is durable, non-porous, rust-resistant, and stick-resistant for easy cleanup. The new surface technology is not a coating, is chemical-free, and is safe to use with metal utensils. Compatible with most heat sources, including gas and ceramic top ranges. It absorbs heat evenly and spreads it gently for excellent heat retention while cooking, is oven safe to 500 degrees F, and can also be used in the oven, under the broiler, or on the grill. Measures 10 x 18 inches. Dishwasher friendly . How to Maintain: After each wash, rub the entire pan with a light coat of oil. Use enough oil to restore the sheen, without making the pan “sticky." Oiling the pan after each wash will help keep the iron “seasoned” and protected from moisture. 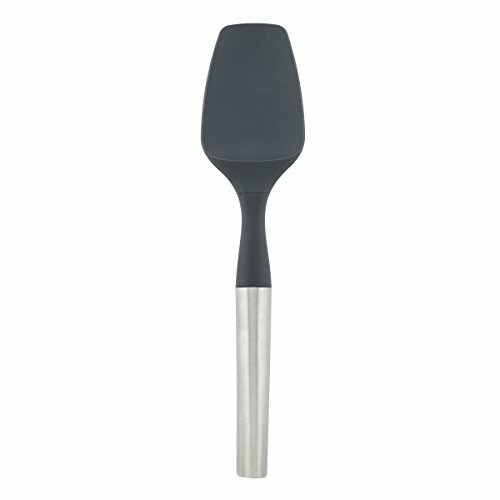 This Sabatier Black soft handle spoon has a deep bowl, making it perfect for stirring and basting. The soft, textured handle provides a secure, comfortable grip. Nylon head is heat resistant to 204 degrees C/400 degrees F and safe to use on all cookware, including nonstick. Measures 13-1/2 inches long. Dishwasher safe. 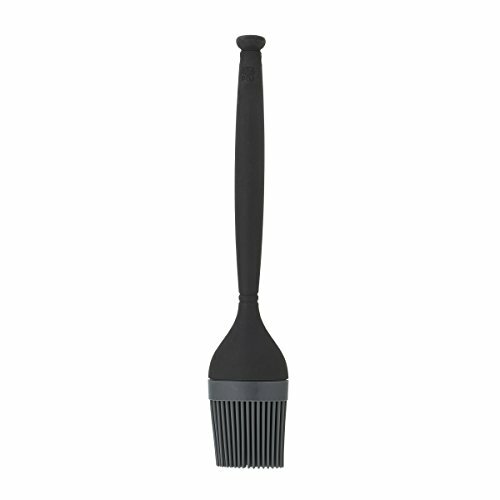 This Sabatier Black and gray large nylon basting brush is perfect for basting large roasts and cuts of meat in the oven or grill. The 12-Inch durable nylon handle is heat-resistant to 400 degrees F, and the silicone head is heat-resistant to 500 degrees F. Safe to use on all cookware, including nonstick. Dishwasher safe. 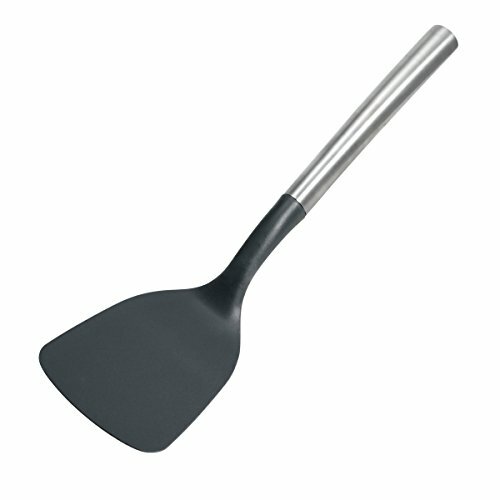 This Sabatier spatula features a large silicone head, which is perfect for combining ingredients and scraping the sides of any bowl or pan. A weighted, ergonomic stainless steel handle offers optimal balance, Comfort, and feel. Heat resistant to 500 degrees F (260 degrees C). 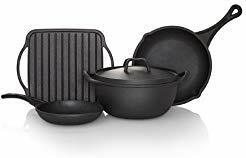 safe to use on all cookware, including nonstick. Dishwasher safe for quick and easy cleanup. This Sabatier Pre-seasoned Rust-Resistant Cast Iron Square Grill Pan with Glass Lid offers a grill surface with the convenience of a handle. Pan is constructed of cast iron using technology that creates an all-natural surface that is durable, non-porous, rust-resistant, and stick-resistant for easy cleanup. The new surface technology is not a coating, is chemical-free, and is safe to use with metal utensils. Compatible with most heat sources, including gas and ceramic top ranges. It absorbs heat evenly and spreads it gently for excellent heat retention while cooking, is oven safe to 500 degrees F, and can also be used in the oven, under the broiler, or on the grill. Measures 10-1/2 inches in diameter. Dishwasher friendly . How to Maintain: After each wash, rub the entire pan with a light coat of oil. Use enough oil to restore the sheen, without making the pan “sticky." Oiling the pan after each wash will help keep the iron “seasoned” and protected from moisture. The thin and flexible head on this Sabatier Black nylon flex turner is perfect for getting under and flipping fish and other delicate foods. Perforations on the head allow juices to drip back into the pan before serving. Nylon head is heat-resistant to 204 degrees C/400 degrees F and safe to use on all cookware, including nonstick. Measures 11-3/4 inches. Dishwasher safe. This Sabatier Black and gray large nylon spatula is perfect for combining ingredients and scraping the sides of bowls and mixers. The 12-Inch durable nylon handle is heat-resistant to 400 degrees F, and the silicone head is heat-resistant to 500 degrees F. Safe to use on all cookware, including nonstick. Dishwasher safe. Dishwasher safe. 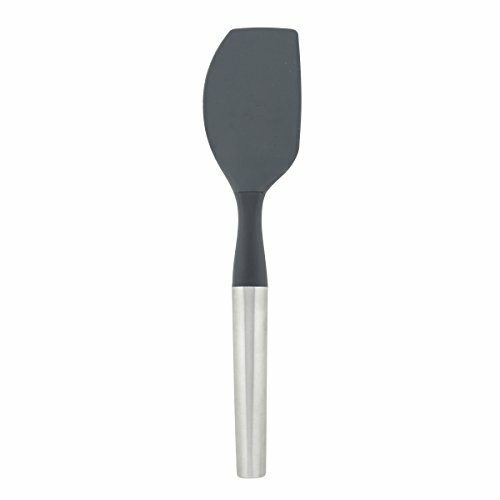 This Sabatier spoon spatula features a large silicone head, which is perfect for combining and spooning ingredients from bowl into a baking pan. A weighted, ergonomic stainless steel handle offers optimal balance, Comfort, and feel. Heat resistant to 500 degrees F (260 degrees C). 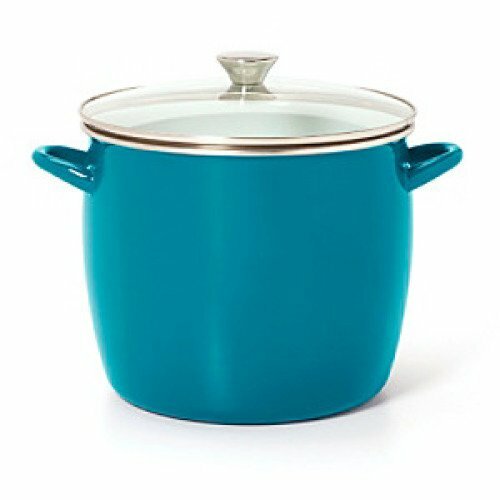 safe to use on all cookware, including nonstick. Dishwasher safe for quick and easy cleanup. Looking for more Sabatier Cookware similar ideas? Try to explore these searches: Dual Core Cache Memory, Angora Button, and Fishtail Exhaust. 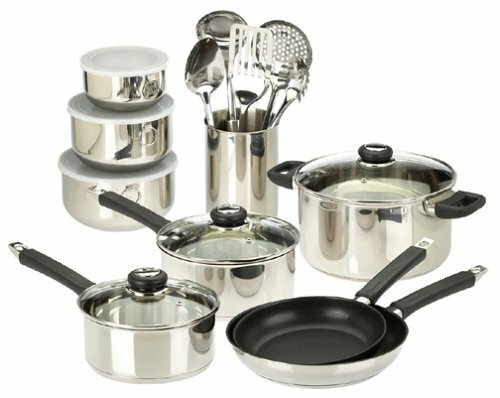 ShopWorldlux.com is the smartest way for save money on Sabatier Cookware: compare prices of leading online stores for best shopping ideas. Don't miss TOP daily updates DEAL.